Providing your customers with a better deal at the cash register is your speciality. Making sure you get a better business finance deal for your supermarket is ours. Australia’s supermarket industry has seen substantial change in recent times. Consumer attitudes, increased disposable income and the introduction of cost-cutting competitors, in the form of Aldi, have caused a measurable shift in buying patterns. With competition at an all-time high, supermarket operators, big and small, need to carefully monitor costs, including the upfront and ongoing costs of business finance. 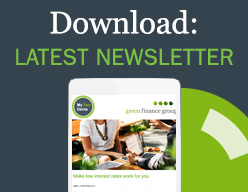 At Green Finance Group we have a proven track record in sourcing competitive supermarket finance with a view to minimising costs and maximising profit. The majority of independent supermarkets in Australia are aligned to one of the large buying groups (such as IGA, Australian United Retailers and SPAR), providing business owners with increased buying power and group marketing resources. If you haven’t had experience in these areas before, it’s a good idea to speak to your accountant or business advisor about up-skilling or planning for some expert assistance until you are up-to-speed. We work with a number of professionals from a variety of relevant fields who can assist you in this area and we would be happy to point you in the right direction, simply give us a call on 07 3899 2866. Leasehold: Funding is available for up to 50% of the purchase price (excluding stock) or 50% of the business value where lending to existing businesses. Higher percentages can be available for borrowers with multiple stores, additional assets and over 5 years’ industry experience. The repayment term for funding of leasehold premises will generally be the lesser of 10 years or the remaining term on the lease. Freehold: Funding is available for up to 70% of the purchase price or market value. Repayment terms for freehold premises are up to 15 years. Whether the Bank requires a valuation will depend on the size of the transaction, your background and the amount of funding required. Valuation costs are paid by the borrower however not all lenders require up-front valuations in every situation. Every bank or lender will assess your application differently. The key to negotiating a better deal is knowing, from the outset, which lenders will look at your business case most favourably. With access to more than 20 banks and specialist lenders and experience funding supermarkets nationwide, we can help you to find the right finance package for your supermarket or convenience store, from competitive interest rate to improved loan terms and conditions. For more information on your options for fitout finance simply give us a call on 07 3899 2866 or fill out the form below and we will be in touch shortly. Regular refurbishments to your shop fitout are essential for retail success. Modern décor and well-maintained facilities will keep your customers coming back. Obtaining finance for fitout can be difficult and the most common mistake business owners make is assuming their current bank or financier will fund a fitout. Some banks do not have either the products or an appropriate policy for financing shop fitout. Without an appetite for the business, the bank will simply turn it away or add unnecessary costs and covenants to the loan. It’s definitely worthwhile looking outside the panel of big banks when it comes to shop fitout finance. At Green Finance Group we have access to a range of secure specialist lenders who can provide finance specifically for shop fitouts, often without the need for further tangible security. For smaller facilities of < $50,000, you may not even need to provide financial statements.